It was only a matter of time before Hennessey Performance Engineering got its hands on the Dodge Challenger Hellcat Redeye. On Friday we learned the tuning company has given the slightly more demonic Hellcat 1,035 horsepower, up from 797. HPE equips the car with the HPE1000 package to create the horsepower bump and increase torque from 707 to 808 pound-feet. Wheel-hp sits at 880. These figures are based on a race-fuel tune, not regular pump gasoline, and HPE doesn’t provide figures on the gasoline most owners are sure to use the vast majority of the time. HPE also didn’t share any 0-60 mph or quarter-mile times, but surely the HPE1000 Hellcat Redeye will outdo the standard version in any sprint. The standard Challenger Hellcat Redeye will clock a 0-60 mph time of 3.4 seconds and rocket down the quarter-mile in 10.8 seconds at 131 mph. Those figures are for the optional Widebody kit. 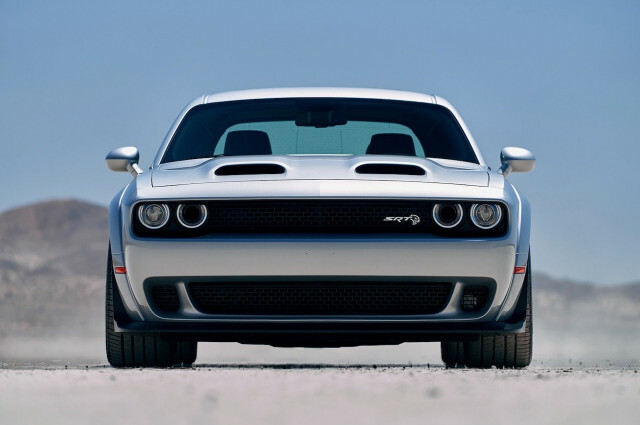 Standard-bodied Hellcat Redeye models add 0.3 second to both the 0-60 mph sprint and quarter-mile time. The HPE1000 package includes a 4.5-liter supercharger, a supercharger pulley upgrade, new throttle body, long-tube headers, high-flow catalytic converters, upgraded fuel injectors, and a high-flow air induction system. All of the modifications are tuned and honed on a chassis dyno to make sure everything works in harmony, and each car undergoes 200 miles of road testing. Like all HPE-modified cars, the Hellcat Redeye gets a few Hennessey badges and a numbered plaque, too. The package costs $34,950, and it’s available now for the Demon’s spawn.